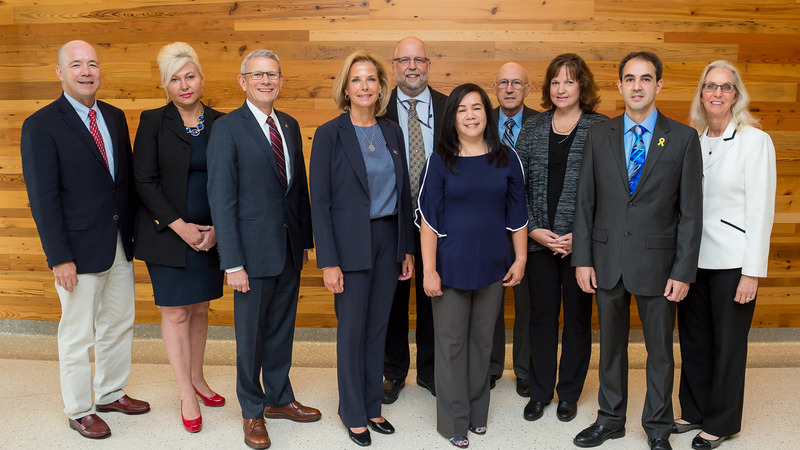 Seven employees from the U.S. Department of Energy’s (DOE) Argonne National Laboratory were among those presented with a Secretary of Energy Achievement Award at the Secretary’s Honors Awards ceremony in Washington, D.C., on August 29. The award recognized their collaborative efforts during an 11-year project to convert the Ghana Research Reactor-1 (GHARR-1) Miniature Neutron Source Reactor from high-enriched uranium (HEU) fuel to low-enriched fuel, further reducing the threat of nuclear proliferation. Located near the capital city of Accra, GHARR-1 is the only nuclear reactor in Ghana and one of only seven HEU-fueled miniature neutron source reactors (MNSRs) being converted to low-enriched fuel through the National Nuclear Security Administration Office of Material Management and Minimization (M3). Designed and constructed in China, GHARR-1 is used as a research and development tool for Ghana’s nuclear power program, as well as for educational purposes at the University of Ghana School of Nuclear and Allied Sciences. The GHARR-1 is the first exported MNSR to be converted, resulting in the permanent elimination of a nuclear threat by minimizing the risks associated with the use of HEU. The GHARR-1 team comprised 32 team members, including staff at M3 headquarters, Argonne, Idaho and Oak Ridge national laboratories and the Y-12 National Security Complex. Receiving the Achievement Award were Argonne Nuclear Sciences and Engineering division employees Karen Grudzinski, James Morman, Francesc Puig, John Stevens, Caryn Warsaw and division director Jordi Roglans-Ribas; and Bonnie Basiorka, procurement leader in the Office of the Chief Financial Officer. The Secretary’s Honor Awards are DOE’s highest form of internal employee recognition. The Achievement Award recognizes cooperation, individual and team excellence and significant achievement on behalf of DOE. Award recipients receive a certificate signed by the Secretary of Energy.